Family-owned and operated GloriAnn Farms offers fresh sweet corn year-round from our fields to your plate! GloriAnn Farms offers numerous retail and foodservice products in three colors, while providing national distribution to both the retail and foodservice industries. Read more to find out what sets GloriAnn corn apart from the rest. 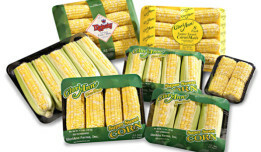 GloriAnn Farms is one of the few companies in the United States to offer fresh, value-added sweet corn year-round. With processing facilities in both northern and southern California, GloriAnn supplies its customers year-round with high quality sweet corn. Read more to learn about our family’s rich history in farming. 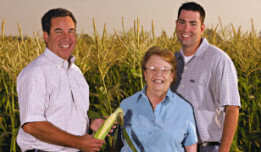 In 2010, the GloriAnn Farms family grew, welcoming Bill and Joe Colace as partners. Five Crowns Marketing, the Colaces’ company, is a grower, packer, and shipper of fresh fruits and vegetables, selling under the Majesty label. Five Crowns also handles all the sales for GloriAnn Farms.